INDUSTRY.co.id - Jakarta - Minister of Industry, Airlangga Hartarto said that palm oil industry is one of the strategic sectors for Indonesia as the world's largest producer and exporter. "The sector is able to absorb the workforce to reach 21 million people either directly or indirectly.The contribution of palm oil also reached US $ 20 billion in 2016," said Airlangga in Jakarta (15/09/2017). He added that in the field of processing industry, Indonesia has the opportunity to become the center of the global palm oil industry for food, non-food and renewable fuels. Based on Ministry of Industry records, Indonesia contributes 48 percent of world CPO production and controls 52 percent of palm oil export market. "This becomes a huge force in the domestic and international market constellation for downstream products of vegetable oil," Airlangga added. Furthermore, Minister of Industry revealed that the national oil industry should expand the networks together with Europe. This is to open the export door for Indonesian palm to European countries. 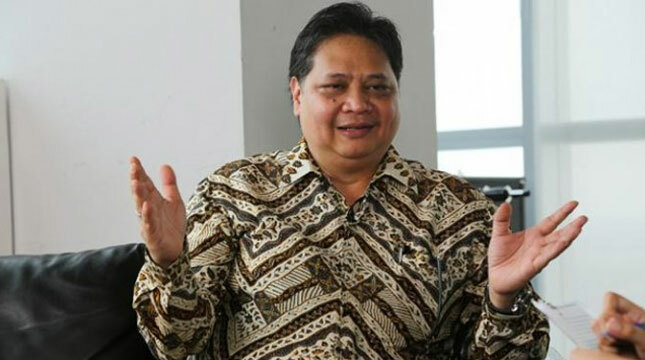 "In addition to Palm oil Indonesia which is often connoted with ugly, by expanding the network to Europe we hope will bring good name of Indonesian palm," he concluded.